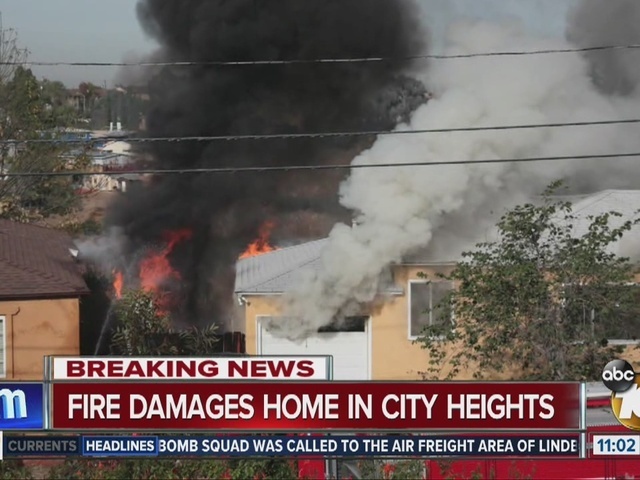 SAN DIEGO -- A house fire in the Chollas Creek neighborhood Wednesday morning displaced two adult residents, but no one was injured. 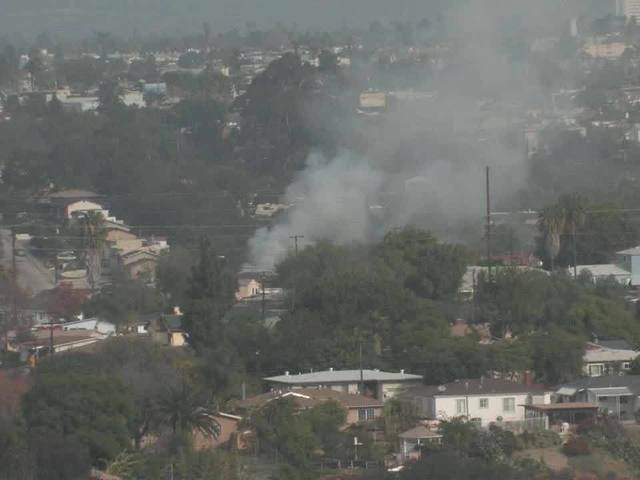 The blaze in the 2300 block of Ridge View near Laurel Street was reported around 9:45 a.m., according to the San Diego Fire-Rescue Department, and was extinguished in about 20 minutes. There was no immediate word on the cause of the fire. SDFR reports the fire appeared to start in the back patio, where the two residents said they were cooking Ramen noodles at the time. San Diego police closed Ridge View Drive between Laurel and Wendell streets, and asked motorists to avoid the area. #BREAKING House fire in 2300 block of Ridgeview Drive. Heavy smoke and flames.